Chipeta became famous as the Ute Chief Ouray's wife -- a trusted confidant and a beautiful, faithful companion. Later she blossomed in her own right and whites and Utes alike sought her opinion. 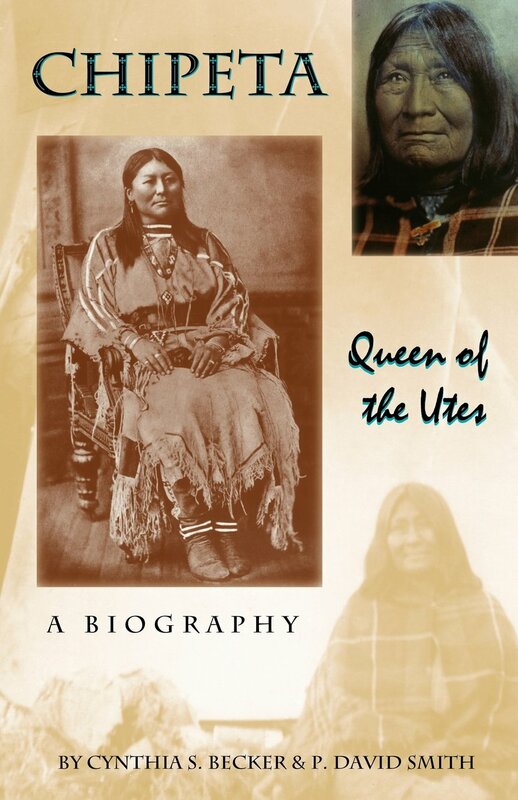 Although the title was first used as a derogatory remark, Chipeta was eventually regarded like a "queen" by both the whites and the Utes. She was even talked about by the elite and the press of Washington, D.C.
Chipeta outlived Ouray by almost half a century. During part of this time she was ignored, forgotten, and cheated by the whites, although immediately after Ouray's death she was courted by many suitors and men wrote poetry to her. In her old age the whites honored her on many occasions. Although she could not have children of her own, she "adopted" many orphaned Utes. Perhaps her greatest legacy was that through all that happened to her she did not become embittered and remained a humble, caring, loving person. Chipeta was a special individual who we would all do well to emulate. Paperback, c2003, xii, 270 p. : ill. ; 14 cm. Includes bibliographical references (p. 257-264) and index.